When? Sunday April 21 , 2019 from 10:00 a.m. – 2:30 p.m. 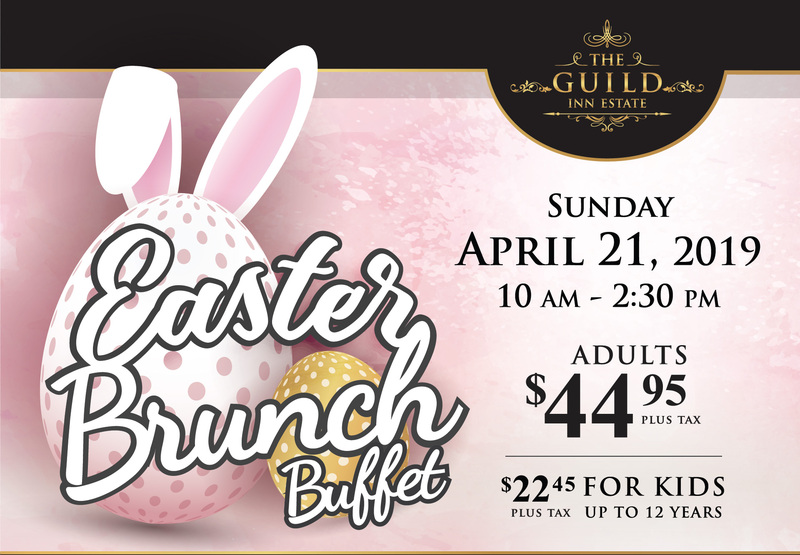 Relax and unwind with family this Easter weekend at The Guild Inn Estate’s Sunday Brunch Buffet on April 21st, from 10 am – 2:30 pm inside the main hall. Eat alongside the panoramic view of Toronto’s historic Guild Park and Gardens with a selection of our finest dishes and food stations suited for the whole family. NOTE: Advance payment is required. Tickets are NON-REFUNDABLE. Groups of 2 or more will have the ability to reserve their own table. When? Sunday May 12 , 2019 from 10:00 a.m. – 2:30 p.m. 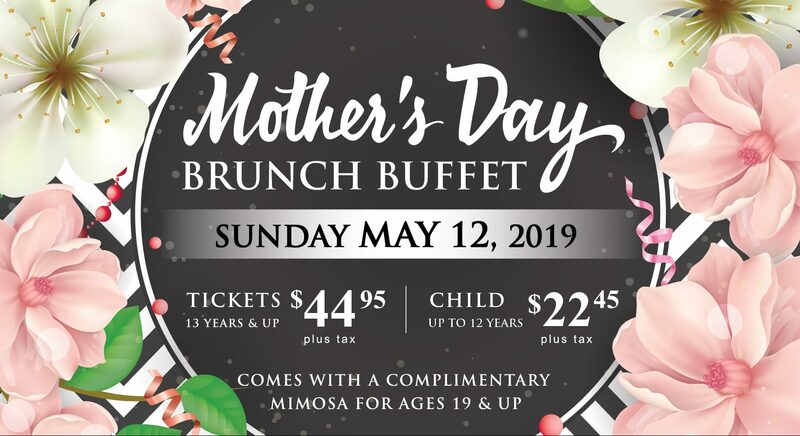 Relax and unwind with mom on Mother’s Day at The Guild Inn Estate’s Sunday Brunch Buffet on May 12, from 10 am – 2:30 pm inside the main hall. Eat alongside the panoramic view of Toronto’s historic Guild Park and Gardens with a complimentary mimosa and a selection of our finest food stations suited for the whole family. 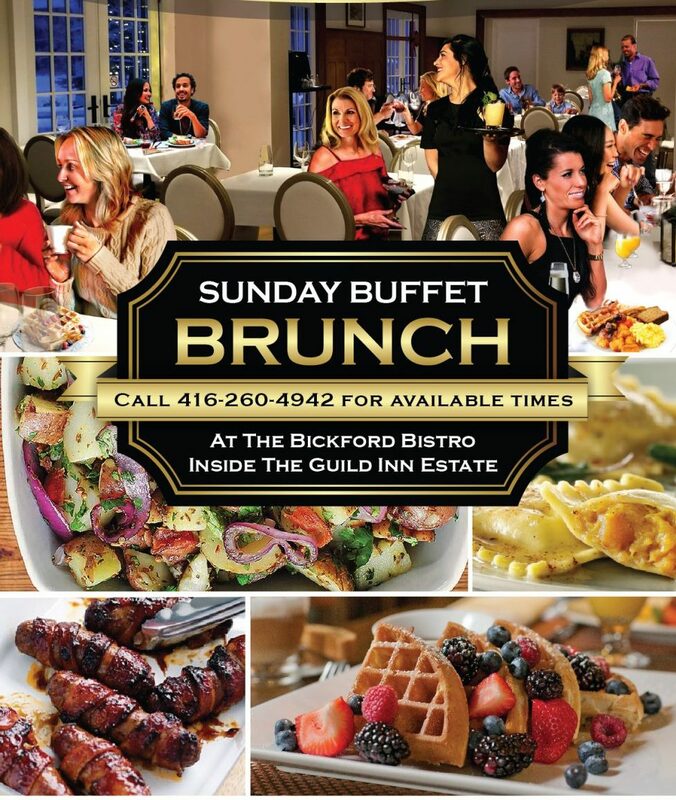 NOTE: The Bickford Bistro will not be hosting their weekly Sunday Brunch on May 12. When? Every Sunday (CLICK HERE to check for any private event conflicts). The Guild Inn Estate is bringing back the Sunday Brunch tradition that originated at the Guild Inn during the 60’s and 70’s. Enjoy an all-you-can-eat brunch buffet from our in-house kitchen every Sunday (pending no private event conflicts). Reservations are recommended. Walk-ins accepted. Check www.bickfordbistro.com for any restaurant closures.